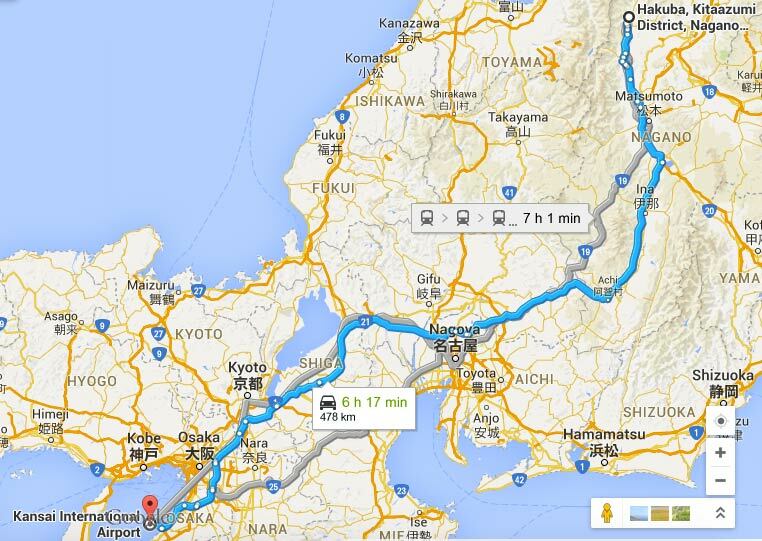 Though it may seem overwhelming, travel from Kansai to Hakuba is not complicated. Public Transport in Japan is very efficient and always on-time. Check out the range of travel options from Nagoya / Osaka / Kansai to Hakuba below. Transfer in Matsumoto to the Oito line bound for Shinano-Omachi and Hakuba (some of these connections have a long wait in Shinano-Omachi). Take the Chuo expressway to the Okaya Junction and transfer to the Nagano expressway. Follow this to Toyoshina and exit the expressway. Follow the signs to Hakuba which will take you through Omachi and on to #148.